Identifying entire projects and the method of double validation guarantees a perfect match between the suppliers’ skills and the contractors’ requirements. The information exchanged beforehand guarantees you meetings exclusively between motivated and identified professionals. Discover the 4 meetings thematics below. Satellites are a crucial part of today's space industry, making it top 1 priority according to your needs from the previous editions. They are used for a wide range of purposes such as GPS, internet and radio communications, weather forecasting and television broadcasting. They are capable of having a large view of earth. This makes them more effective at collecting data than other instruments on the ground making them essential in today’s communication. Launchers are the second largest area of space-manufacturing activity in Europe after commercial satellites, boosting European industry, and making it a priority in Paris Space Week (PSW). You will meet key accounts (Investor, R&D, Purchasing, Project Leaders etc.) who are always looking for innovation and to present the launchers program from National Space Agencies. Discover new technologies and services integrated in their new launchers program. Identify and find partners in R&D who could also respond to their actual needs. Whether travelling near Earth or deep in our Solar System, every spacecraft is supported by a sophisticated 'ground segment' comprising computer systems, software, telecommunication networks and other resources that enable engineers and scientists to send up commands and receive data from on board instruments. Following your recommendations, in this event you will have the opportunity to meet major actors related to this field of activity including specialists who establish ground control systems and equipment and/or ground systems control services). After opening your member area, you fill in your technical file and choose your package of participation. Your registration will be submitted for validation by the steering committee of the event. 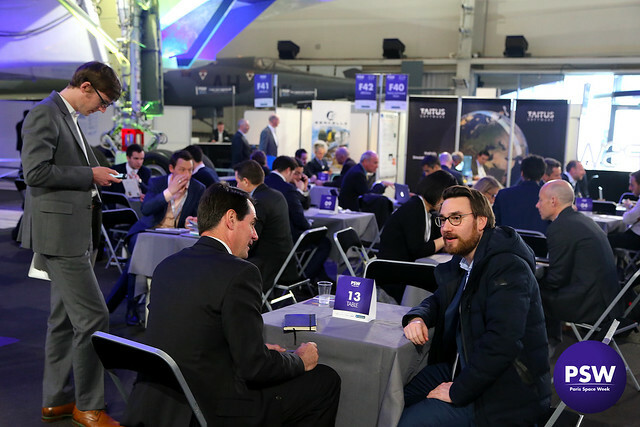 One month before the event and after the opening of the online catalogue, you select the companies that you would like to meet with and request a meeting. You can send a message explaining why you wish to meet with them. Each Participant has the possibility of asking you for a meeting: you can either accept or refuse. One week before the event you will receive your meeting schedule, including the meetings validated by both parties as well as the conferences that you have requested to attend.